how truck drivers can stay healthy while on the road | Platinum Drivers Inc. Staying in shape can be an especially difficult goal for truck drivers to achieve, since they’re spending the majority of their workweek sitting still behind the wheel of their cab. Subsequently, after a long-day spent on the road, truck drivers are likely to be exhausted, making it difficult to find the energy needed to exercise after an honest day’s work. In addition, it is also increasingly difficult for truck drivers to eat healthy, since drivers are often forced to stop at places that do not have the healthiest choices. As is the case with most industries in the marketplace, the healthier a worker is, the more successful they are at his or her job. For truck drivers, this can make a world of difference, since the gap between being at your best and being a tick or two off can be the variable that causes or prevents an accident from occurring. As such, it’s not overly surprising to learn that new research has found there is a correlation between strong driver health and vehicle safety. As a strong focus at the third annual Travelers’ Safety Symposium, researcher Erin Mabry discussed how subpar eating habits, obesity and abnormal sleeping put drivers at an increased safety risk. 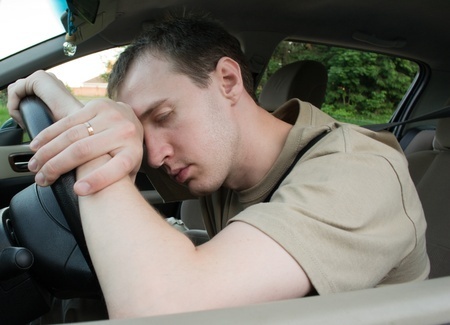 So what can fleet owners do to help improve their driver’s overall wellness? For starters, they can develop programs that go to great depths to teach drivers how to be healthy and how they can optimize performance. It’s not just about diet and exercise; drinking caffeine, alcohol and taking prescription drugs can also affect sleep patterns and performance, for example. Ultimately, it’s incumbent upon owners to educate their drivers and give them as much information as possible. It’s a short term cost for fleet owners that could lead to major long-term savings from improved performance. How Can Truck Drivers Eat Healthy And Exercise While Out on the Road?